We all like to bring great souvenirs and gifts home from our holidays -- for many of us, the more unusual the souvenir, the better! In many parts of the world you’ll find unusual, seemingly attractive and appealing souvenirs made from animal and plant products. You may be able to buy luxury items made from ivory, rhino horn, coral, shell, tortoiseshell, exotic hardwoods and animal skins, some of which are simply not available back home. And in restaurants you might be tempted by the chance to try unusual food products such as bushmeat (the meat of wild animals). In local markets you might even see live animals for sale. 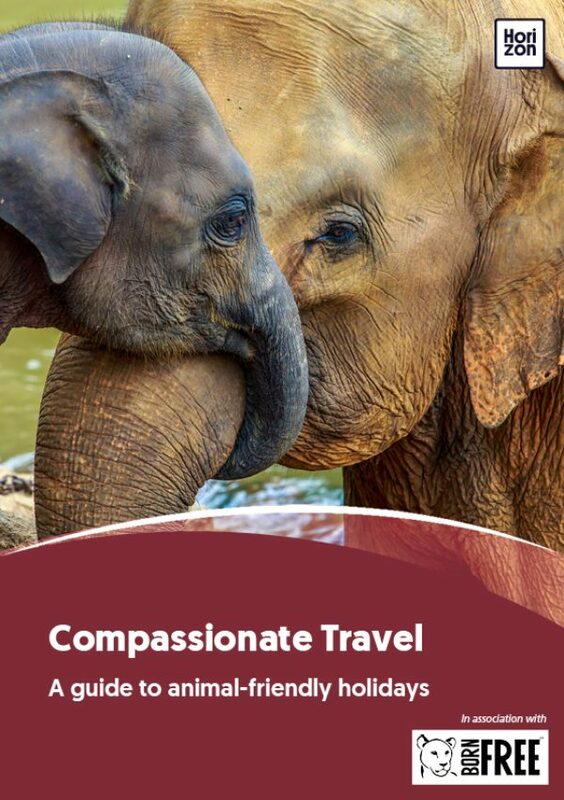 It may well be illegal to bring many wildlife products and live wildlife specimens home in your luggage, but you can play a positive role in protecting endangered wildlife by being a responsible shopper, and being mindful of your animal footprint when choosing souvenirs. The trade in wildlife and animal products is widely recognised as a major threat to many wildlife species. The illegal wildlife trade is thought to be worth as much as $20 billion a year. 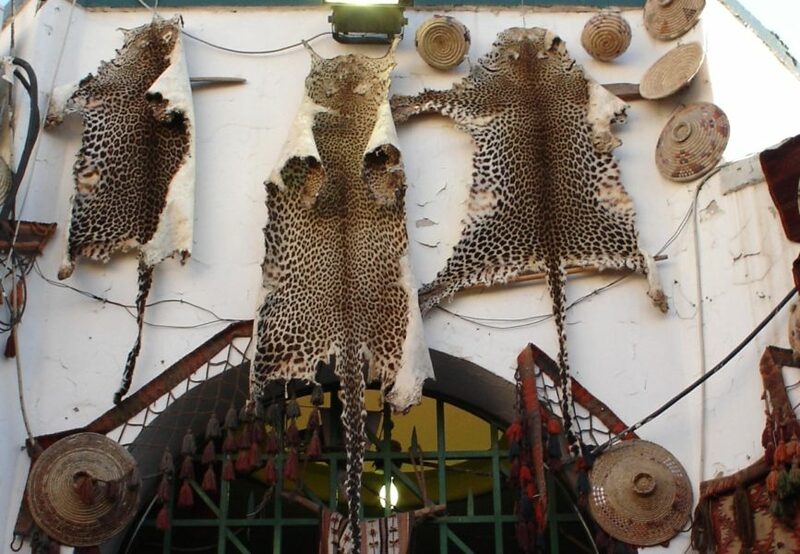 By its very nature, capturing and killing wildlife to produce souvenirs threatens the survival of the species as a whole and causes distress, cruelty and pain for the individual animals involved. Farmed or ranched animal products don’t necessarily minimise the threat to wild species or avoid individual animal suffering. In fact, they can create a demand for exotic animal products, putting pressure on wild populations, increasing illegal activities and creating wildlife law enforcement challenges. The illegal exotic animal trade is closely intertwined with other black market activities such as illegal hunting, drug smuggling, corruption and arms dealing. Capturing live animals may involve killing many other family members and separating the animal from its relations at a young age, causing cruelty and distress. And it’s important to remember that wild animals can never be domesticated, they may be unpredictable and dangerous; they do not make good pets. The widespread illegal hunting of wild animals for food and the trade in bushmeat has become a major threat to the survival of many species. Finding an exotic souvenir at a low price might seem like a bargain too good to refuse. After all, who doesn’t want to bring something special home to remember a holiday? But buying products of animal or even plant origin can be an ethical minefield. Leather may be an everyday item at home and many people still eat meat, so what’s the difference with animal products for sale abroad? The big questions are: How was that souvenir made? Did it involve the capture and killing of a wild animal, possibly from a threatened species? Did its production involve cruelty and suffering? Has producing it contributed to the destruction of habitat, the decline of wildlife or the exploitation of vulnerable human communities? And it’s important to remember that certain animal products are illegal in many countries, although it’s not always easy to know the legal status of what we’re purchasing. What seems like an innocent keepsake can lead to a lot of trouble if it’s discovered by the authorities at the border. Products such as ivory, rhino horn and animal shells account for a significant part of the trade in wildlife. Between 2013 and 2017, nearly 5,500 rhinos were killed in South Africa alone. Between 2010 and 2013, more than 100,000 elephants were killed in Africa to supply illegal ivory markets - that’s more than one fifth of the known wild population. Big cats are poached and trophy-hunted for their skins, and turtles for their shells. Products made from animal parts, may directly contribute to the worldwide demise of threatened species, and might be illegal. Although they may look like plants or even inanimate rocks, corals are actually living animals that cluster together in their billions to create colourful reefs and provide an invaluable habitat for fish and countless marine species. Unfortunately due to climate change and rising sea acidity, coral is in serious decline worldwide. Coral mining and irresponsible tourism make them even more vulnerable. The gathering of coral for sale to tourists is big business, but the trade is extremely harmful to the ecosystem and is contributing to the decline of many corals, particularly pink and red species. Many types of coral are protected by international treaties and local laws but buying coral products is extremely widespread and is contributing to coral decline and may be illegal. Reptile skins are commonly used to make souvenirs and exotic gifts. Skins are taken from crocodiles, alligators, caimans, boas, pythons, and lizards among others, to create products as varied as shoes, wallets, coats and belts. One in five species of reptiles is listed in the International Union for Conservation of Nature (IUCN) Red List as threatened with extinction, and the demand for reptile skin products is recognised as a major contributor to the decline. Reptile skins are often sold as farmed, but in many cases this is used as a smokescreen to cover illegally-caught wild animals. Even if you buy skins from genuinely-farmed animals, the conditions in which these animals are bred, reared and slaughtered, are largely unregulated and often barbaric and cruel. The global trade in live wild animals is a multi-billion dollar industry, and is largely illegal and unregulated. Wild animals are captured and brought into Europe and other markets to be sold as exotic pets. All sorts of species are involved, but some of the most common include parrots and other birds, tortoises, turtles, reptiles and fish. Removing a live animal from the wild may require the killing of its mother or other family members and causes significant distress to the animals involved. It may also threaten the future of the species. Laws on the trade and use of live and wild animals vary from country to country and are not always properly enforced, but it is usually illegal to buy a live animal that has been taken from the wild. It is also always illegal to bring live animals back home without the necessary import and veterinary documentation. Getting caught at the border guarantees stiff penalties. Anything that uses shells, either from marine or land animals. This includes tortoiseshell products. Ornaments or accessories made from starfish or seahorses. Clothing or accessories made from animal skins, such as reptiles, gazelle and big cats, even when labelled as farmed or ranched. Wood carvings made with ebony, rosewood and other rare hardwoods. The feathers and eggs of many bird species. Animal horns such as antelope or rhino. Spiders, butterflies and other insects. Traditional medicines made from animal parts and products. Many species of cacti, snowdrops, orchids and epiphytes.